Working with lace knitting patterns is like switching from hot coffee to iced lattes, from flats to sandals, from wool to linen. It’s so much fun to move into something lighter and airier for spring and summer. 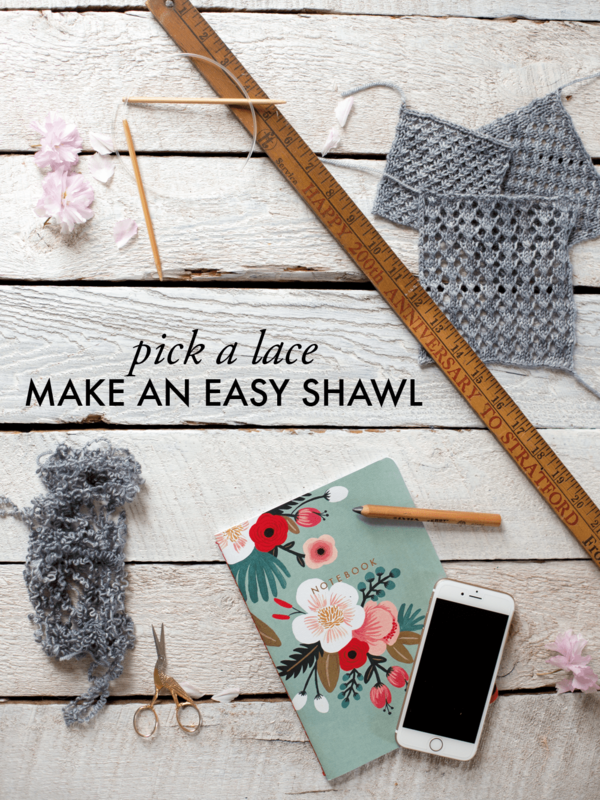 In this tutorial, you will learn five different lace patterns and the details required to transform these beautiful pieces into a simple shawl. First of all, don’t let lace intimidate you! Lace is created by mixing stitch increases and decreases in various ways to create a pattern. Some increases and decreases keep the stitches looking straight, while some tilt the look of the pattern to the left or to the right. The first set of repeats in any lace may seem tricky, but before long you’ll be flying through the patterns with ease. 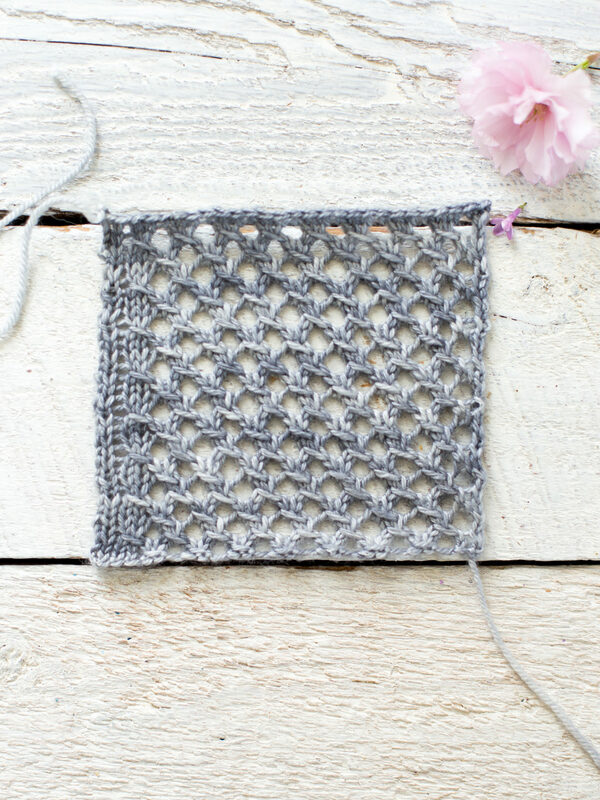 With these lace patterns, the stitch count remains the same for every row so you can always check to make sure you’re on target. 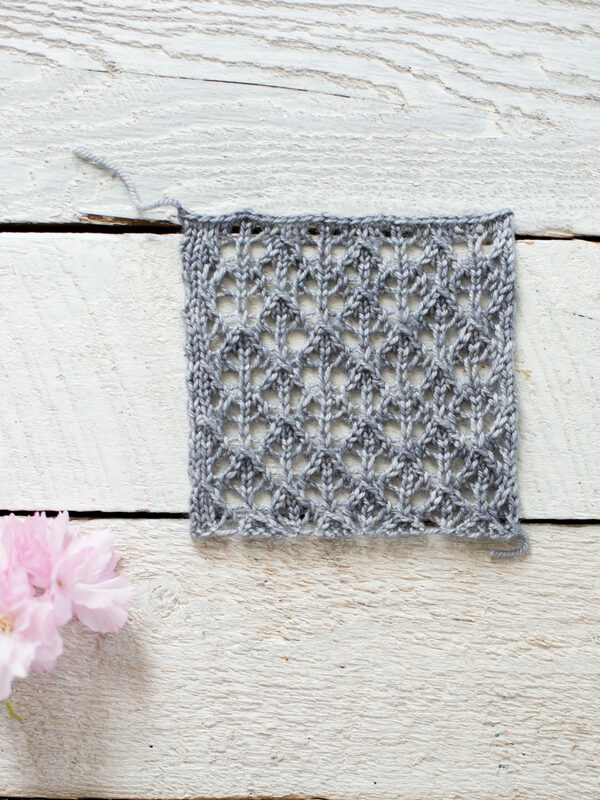 Now go find a gorgeous linen or silk yarn, choose one of these lace patterns below and let’s get knitting! I chose to share with you laces that are all a multiple of either 3 or 6 stitches to keep the math simple. I kept my cast-on stitch count the same for each swatch. You can see by the variety of swatch size below that each lace pattern creates varying sizes of fabric. Additionally, your choice of yarn, needle size, and the tension with which you knit will all affect the size of your finished piece. Keep this in mind as you design or think about your own project. – Cast on: 28 stitches (multiple of 3 or 6 plus 2 selvage stitches on either side of the lace pattern). – Extra stitch: If a lace pattern needs an extra stitch to be completed (Lace 3 and Lace 5), I used my second selvage stitch on the right side of the work as part of the lace pattern. Note: Don’t forget, the pattern written below does not include any selvage stitches you may have cast on. – Row 1: k1, *yo, sl1 k2, psso2*, repeat from * to * as necessary, knit 2 last stitches. – Row 2: Purl all stitches on wrong side/even rows. – Row 3: *yo, sl1 k2, psso2*, repeat from * to * to end. – Repeat rows 1-4 as necessary. Note: The pattern written below will need to use 1 of your selvage stitches. K 1 selvage stitch on the right and start the pattern. Note: Don’t forget: The pattern written below does not include any selvage stitches you may have cast on. – Row 1: *yo, k3, pass the first knit stitch over the other 2*, repeat from * to * as necessary. – Row 3: k2, *yo, k3, pass the first knit stitch over the other 2*, repeat from * to * as necessary, until last stitch, k1. 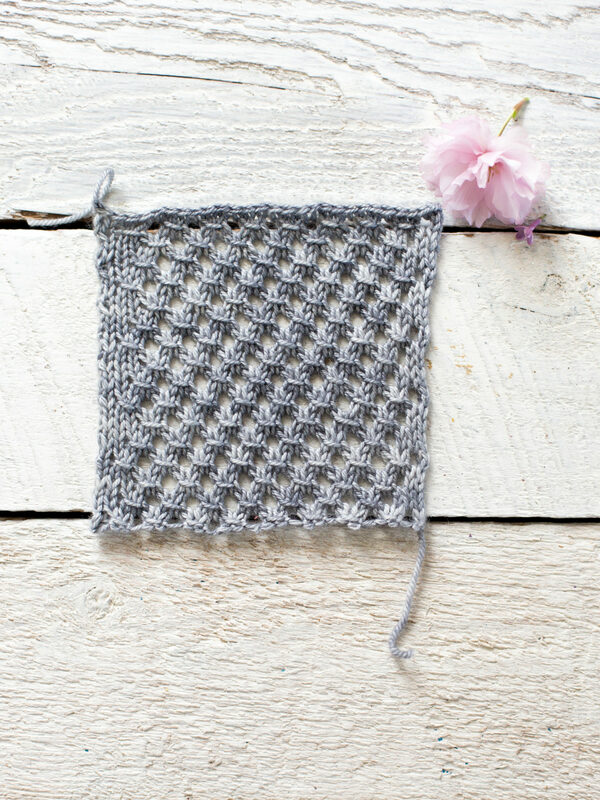 – Row 5: k1, *yo, k3, pass the first knit stitch over the other 2*, repeat from * to * as necessary, until last 2 stitches, k2. – Repeat rows 1-6 as necessary. 1. Make a lace swatch as above. 2. Measure your swatch. How many inches wide and high is the lace portion (don’t include the selvage edges) of your swatch? 3. Decide on shawl dimensions and calculate required stitches. Let’s say you want a shawl that is 66″ long and 20″ wide with a selvage of approximately 1″ at each end. Divide the width of desired lace portion (64″) by the width of the lace portion of your swatch (say 4.25″), you need approximately 15 times the number of stitches as you had in the lace portion of your swatch. Each swatch above has 24 stitches of lace, so in this example, multiply 15 times by 24 stitches to get 360 stitches total. The number of sititches needs to be divisible by the required number of stitches in your lace repeat (all laces here are repeats of 3 or 6 and 360 is divisible by both). Add 6 sitches of garter stitch (knit on both sides) selvage to each end (12 stitches total). Add the lace stitch count (360 stitches) to the selvage stitch count (12 stitiches) for 372 stitches total. 4. Calculate required rows. 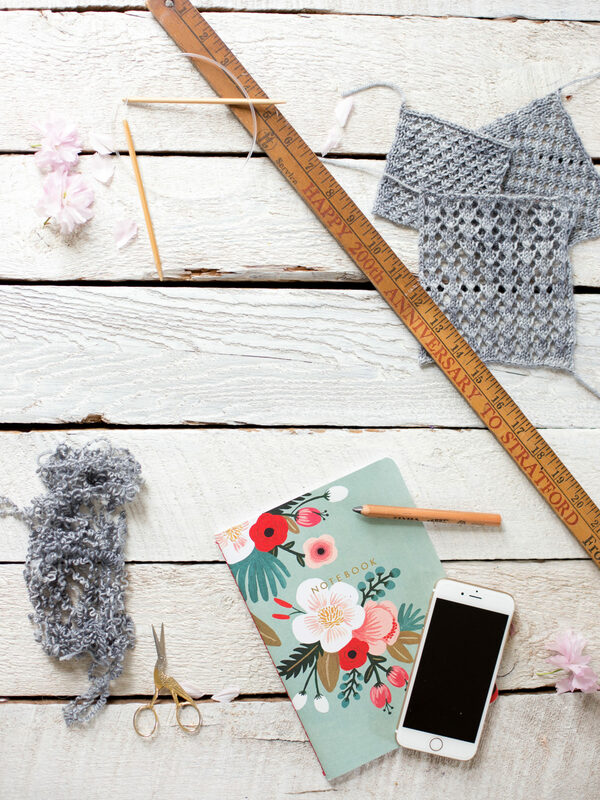 To figure out how many rows you will need to knit, divide your desired shawl height (20″) by the height of your total swatch (4.5″), you need approximately 4.4 times the number of rows from your swatch (say 36) for a total of approximately 158 rows. You will want to end at the end of a lace repeat so adjust this number of rows accordingly. You can also just measure the width as you go without bothering to count rows. 5. Calculate required yardage. Although I’ve given you an approximate number above, to get a better sense of required yardage, rip out the swatch that you used for steps above. Measure the total yardage required by swatch (say 18 yards). Multiply this yardage by how many times wider the scarf will be (15 times) and by how many times higher the shawl will be (4.4). This number will suggest the approximate yardage (18 x 15 x 4.4 =1,188). Because the original swatch has 4 stitches of selvage for each row included in the yardage, it will more than make up for the added selvage width on each end of the shawl. This should be a slight overestimation. I’m so excited to announce that I’m officially a MarthaStewart.com contributor now. This means that I’ll be making lots of beautiful things to be featured on MarthaStewart.com. Here is my profile there. This was my first article as contributor and was published on the MarthaStewart.com Network on May 13, 2015. Great tutorial – love those lace patterns! So pretty! Thanks so much, Bekah! Enjoy!! beautiful stitches! I don’t know anything about knitting except the terms cast on, knit, purl, and I can do those 3 things. Because of my limited experience, I couldn’t follow the directions. Do you gave a video posted anywhere? Thank you Pam! I don’t have a video. I’m so sorry it was hard for you to follow the directions. It’s hard at first to know how to do the new stitches when you don’t have the visual. I’d like to try to provide photographic step by steps or a video soon. Thanks for sharing this great patterns. I would love to make a summer shawl. How much yarn would I need to make a nice size shawl? Hi Corkie! It depends on your dimensions. Read the pattern part at the end of the post. If you make a shawl similar to the dimensions I suggest, you will need approximately 1,100 yards. hi! I love these patterns!! But I noticed there are rows missing…could you please help? Thanks! Hi Emily, I’m so glad you like them. If you don’t see the row listed, that means you are purling. 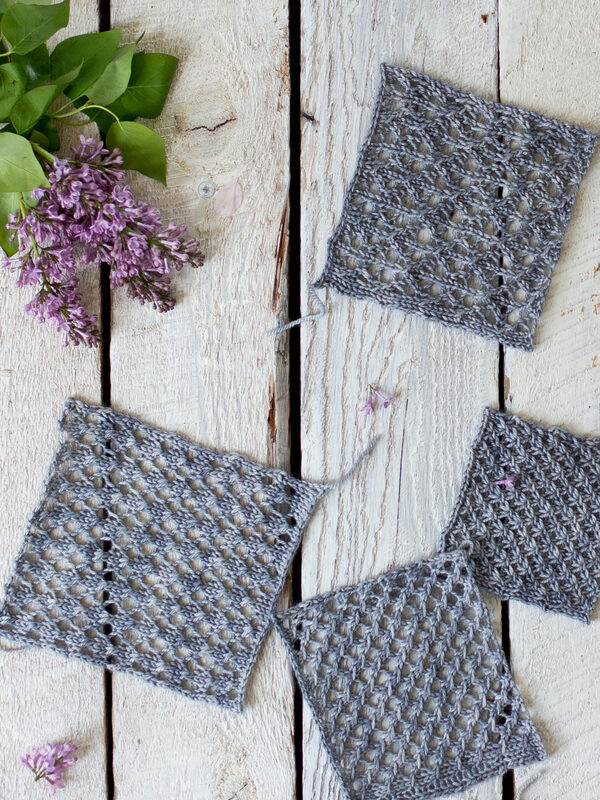 With these lace patterns you purl on the wrong side rows. I hope I’ve answered your question! 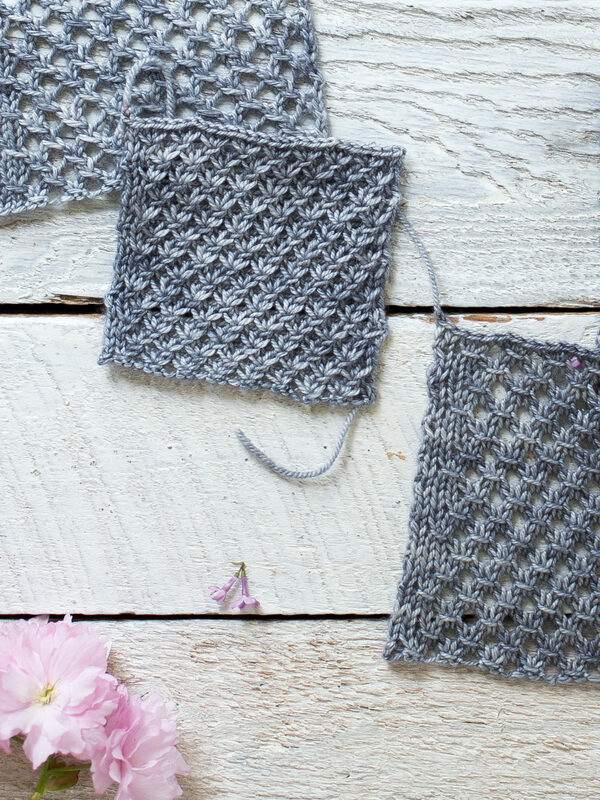 Thank you for these lovely lace stitch patterns! I was wondering if you could advise how I might convert the patterns to knit cowls on circular needles. I am a beginner knitter however, I do understand how you noted that the stitches required a certain amount of stitches plus an additional stitch. 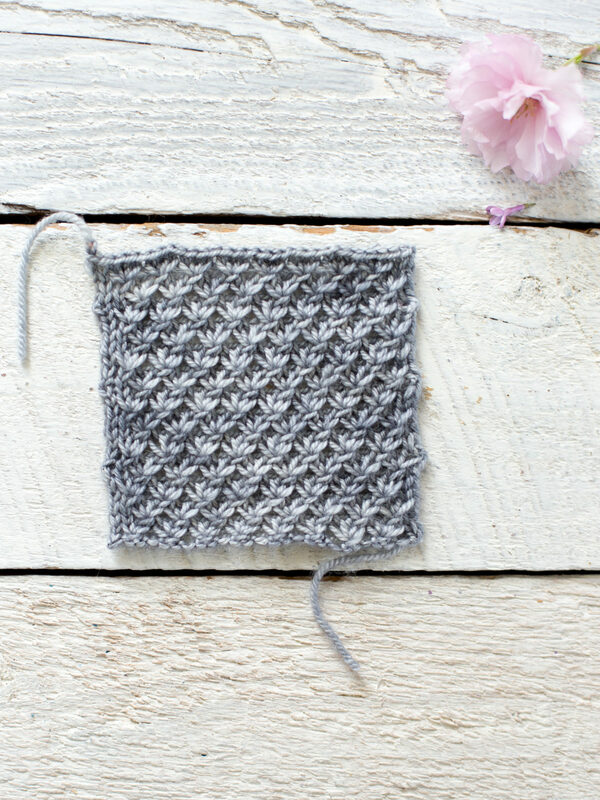 I am particularly interested in the fifth stitch pattern because I have some angora blend yarn that I would love to use and I think a lace stitch would make it more comfortable to wear. Once again, thank you for the patterns. Thanks so much Beatriz!! I love them, too! Thanks for the wonderful explanation of lace! Being visually impaired, lace has always intimidated me, even if I could see what was going on in the pattern. Again, thank you for the great explanation, and the sample patterns! Oh – Thank you! I’m so glad you like the post! Thanks so much Geeta! I’m glad you like them! HI Gizala,I’m so glad you like the lace patterns. Unfortunately, I don’t have videos for these patterns. I will add it to my list as a request, however! Hi, thank you for these patterns! 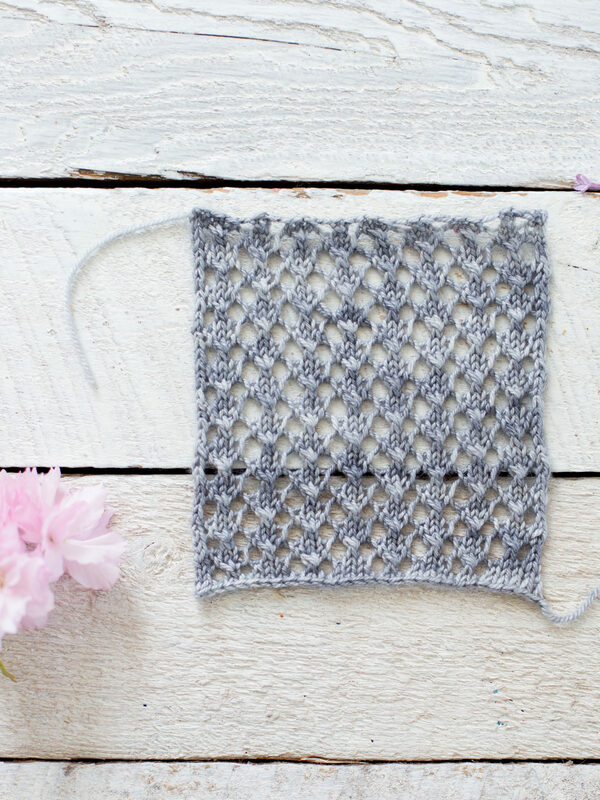 It’s my first attempt at anything lacy so I appreciate the clear instructions 🙂 I’m working with number 4 and it’s looking beautiful but I have found my whole piece of knitting leans to one side – so I end up making a parallelogram shape, not a nice rectangle! What do you think I am doing wrong? Thanks!! Hi Ellie, a lot of time lace looks really funky until you block it. Have you tried doing that? It may straighten everything out just beautifully. You are amazing.New to lace knitting making a wedding shawl for my daughter to be .All the patterns seam crazy either the edges were too tight or the wrong shape . Thanks to you I can now make her shawl. Just a question I would like to add beads how much space would you place them every second or every 4 the rest? I’m so glad! I would do a couple of swatches and see what you like best. But my instinct would be to do every 4. This is my first time trying to knit anything lacy, and these patterns seem so approachable! 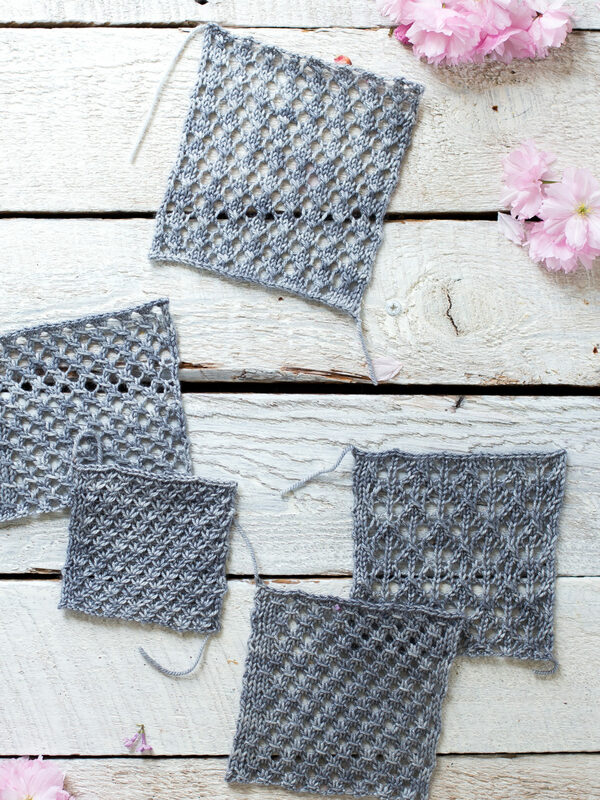 I’m currently knitting a swatch of pattern 1, and I was wondering when it says to slip two stitches if you slip them both at the same time, as in a k2tog, or separately – one at a time? Or does that not matter that much since they are then passed over the next stitch? Thanks! Does this mean that a sl1 is always slipped knitwise in all 5 of the lace patterns? HI Lindsay! I’m so sorry for my delayed response here. I somehow missed your comment. THanks so much for your kind words! Yes, when you slip a stitch you should do it knitwise. But when you refer to PSSO, you are passing the stitch that you already slipped knitwise over the last stitch. So you aren’t slipping again. Does this make sense to you? Yup, finally got it! Also, I just noticed the original article is over 3 years old & still helping people become more accomplished knitters! THANK YOU!! Oh great! What a nice thing to say~! Thank you!! I hope you make a beautiful shawl that you’re thrilled with!